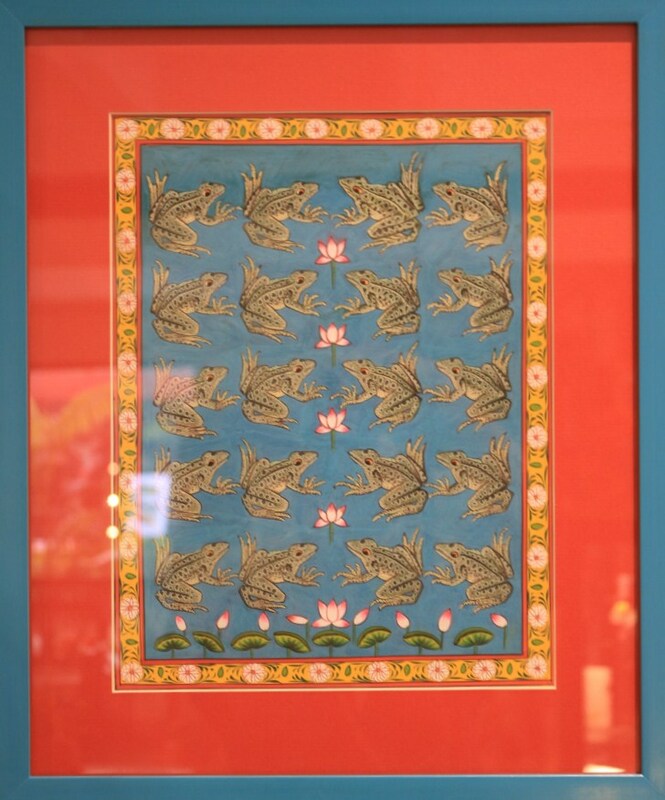 Frogs have an abiding presence in Indian art and mythology. Then why don’t we try to conserve them? 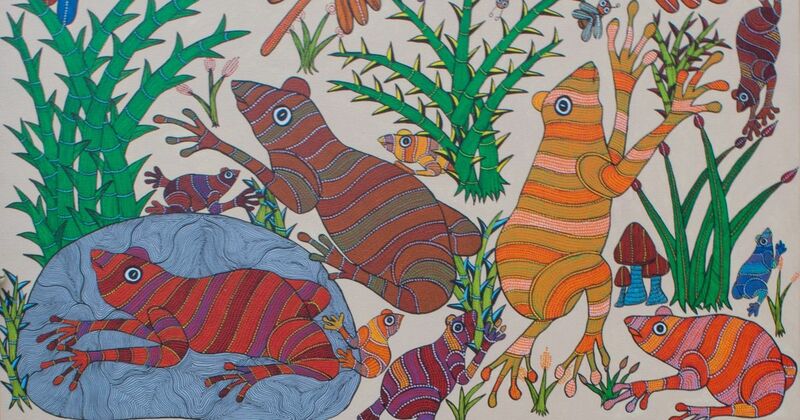 An exhibition in Delhi explains the cultural significance of the frog and highlights the need to save the species. 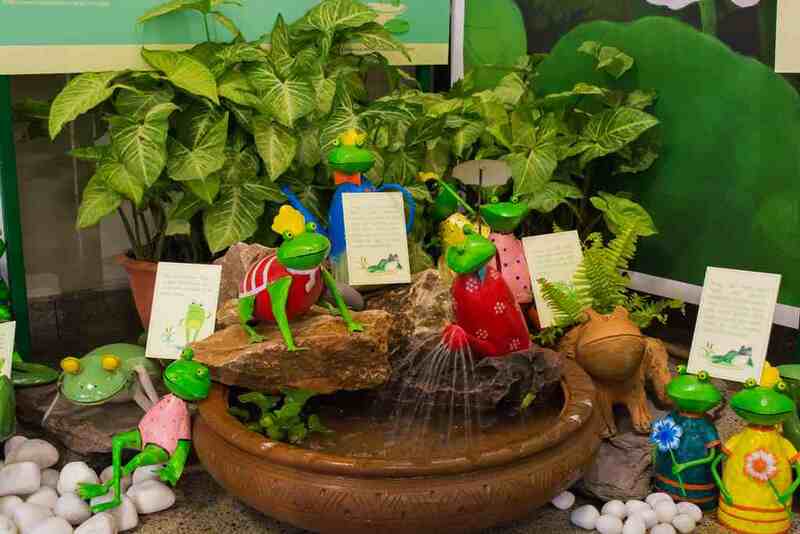 Bhatt now has over 400 frog figurines, mementos and artefacts collected from around 40 countries, most of which are currently set up in the foyer and the courtyard of the World Wildlife Fund office in Delhi, as part of an exhibition titled FrogFest, which is on until April. The exhibition has been curated by environmental educator Mamata Pandya and advertising photographer Aditya Arya. In the agrarian communities of various states across India, there is a strong belief that a marriage ceremony performed between two frogs will please Indra, the Hindu rain god. There have been reports of such weddings being organised to bring rainfall in times of drought. In 2016, a complete ceremony was performed between a female frog and a bamboo puppet in Assam in the hopes of good rainfall. 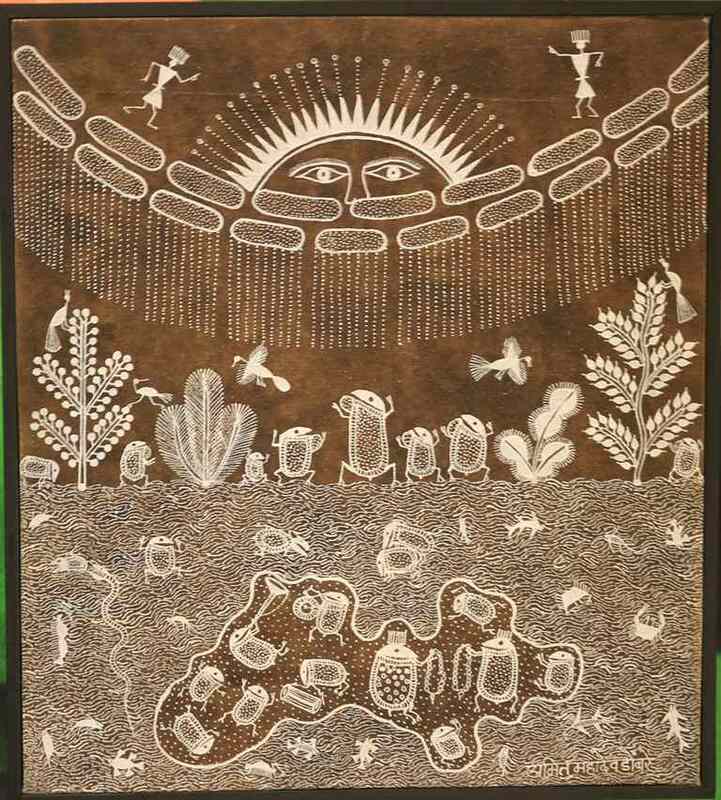 The most common theme across the different folk art forms in India – such as Madhubani from Bihar, Pichwai from Rajasthan, Warli from Maharashtra, Gond from Madhya Pradesh and the Patachitra from Odisha and West Bengal – is the depiction of nature and environment and how these influence the lives of these agrarian communities. As a result, the themes chosen by artists for their works are usually about the gods and goddesses they worship and the flora and fauna around them. 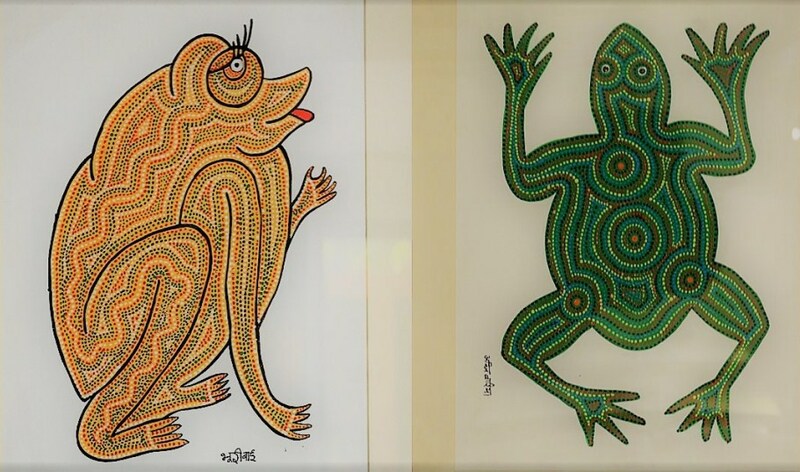 According to Bhatt, frogs have found space in folk-art traditions because they are integral to the life of the community. 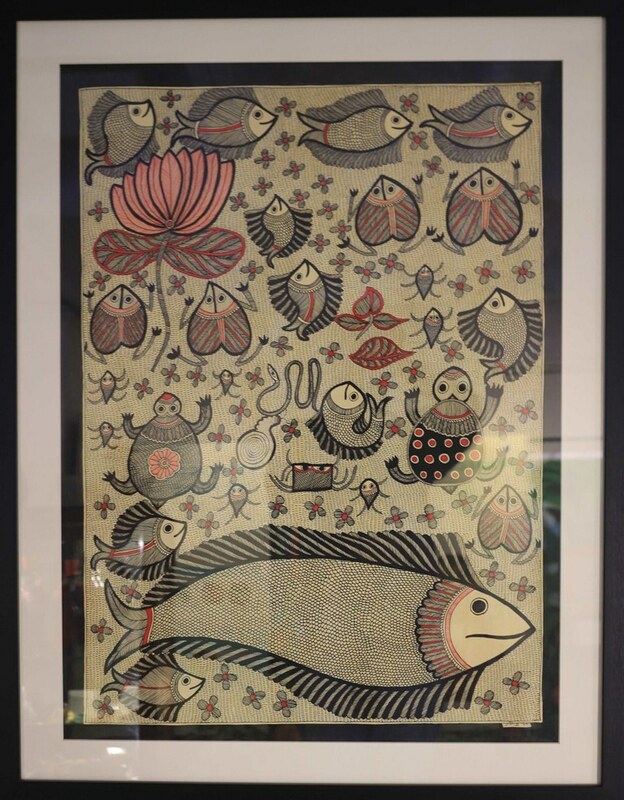 The Madhubani art on display at the exhibition in Delhi includes frogs drawn in various hues, while the Warli art on display depict the tradition of farmers praying to the rain god or conducting frog weddings. The idea behind the event is to shine a spotlight on the need for amphibian conservation but with a quirky exhibition to drive the point home. “It is fascinating how frogs appear in cultures all over the world – Thailand, Egypt, Sri Lanka, the US, Canada,” said Bhatt, who was at the opening, sporting two pieces from her collection as a part of her ensemble – silver frog earrings and a silk stole with frogs printed all over it. There is a deep significance attached to frogs in most cultures across the globe. “Unfortunately in India, we only talk about tigers, elephants and peacocks but the frog is equally important as far as our country’s culture is concerned,” said Biju. “Peacocks are considered an indicator of monsoon, but frogs are much more accurate as environmental barometers. We even have a frog temple in India, the only one in the world.” The temple is located in Lakhimpur Kheri, Uttar Pradesh. “[They] are very clued into their ecosystem,” said Bhatt. Their skin “is sensitive to temperature change, moisture in the air, and they can sense change in season much before we can”. The FrogFest also talks about the cultural significance of frogs in other countries, like Egypt, where they are a symbol of fertility, or China, where they signify prosperity. The exhibition has been set up to look like a museum of artefacts and to sound like one is in the middle of the jungle, with a soundtrack of flowing water and various frog calls following the visitors through the space. The decline of amphibians serves as a warning, and a reminder that they need to be preserved for a healthy ecosystem. At FrogFest, the artworks and artefacts are punctuated by posters highlighting the role of amphibians in the natural world. The posters educate the viewers in how they can help in preserving the environment by making small lifestyle changes. Simple steps, such as reducing the use of paper, plastic, using carpool or joining local conservation groups, will help in creating a healthy ecosystem and safe habitats to attract frogs. Frog figurines at the FrogFest. 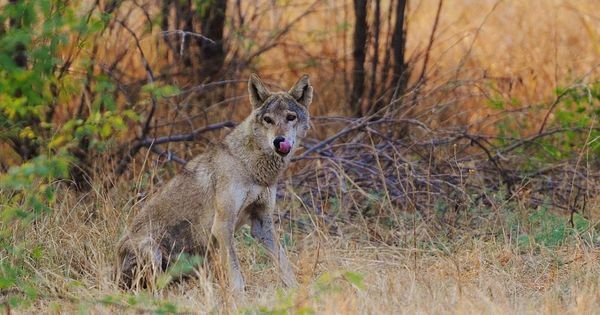 In our love for the tiger, are we losing the soul of the Deccan grasslands – the Indian grey wolf?